National Treasury held a workshop with several tax practitioners and industry bodies earlier this month to address some of the remaining concerns raised in comments and discussions about the 2017 amendment. Erika de Villiers, tax policy advisor to the South African Institute of Tax Professionals (Sait), says it is quite clear that Treasury is sticking to its policy intent with the amendment. One of the concerns raised is that in many jurisdictions certain benefits are more of a necessity than a benefit, such as security. Treasury does not want to be seen to be treating a fringe benefit such as security differently in another jurisdiction than security costs in SA, which is also a fringe benefit when provided by an employer, says De Villiers. The Income Tax Act was amended in 2017, but the implementation of the tax-free cap on foreign income will become affective in March next year. Taxpayers and tax practitioners have been lobbying quite extensively for more generous relief to take account of circumstances in other jurisdictions. One issue that seems to be a sticking point is the provision of residential accommodation by employers to people who are on secondment in other jurisdictions. Sait’s mining work group made a submission at the end of last year, asking that consideration be given to place a nil value on the residential accommodation fringe benefit. Andre de Klerk, chair of the mining work group, says in the submission that many of the mining groups headquartered in South Africa offer accommodation on mine premises. This accommodation is basic at best, but because of the formula used to calculate it, the value of the fringe benefit is “disproportionally high”. One of the variables in the formula is the remuneration of the employee. Many are highly qualified engineers who are paid handsomely. According to De Klerk the formula used to calculate the fringe benefit pushes up the total remuneration of South African expatriates. The result is that a large part of their remuneration is likely to be above the R1 million exemption threshold, which serves to disincentivise working at these mines. De Villiers says Treasury’s initial response was that they want to treat accommodation fringe benefits neutrally between South African employees and expats. However, it was highlighted during the workshop that there is an exemption in the fringe benefit legislation for inbound expatriate employees. In terms of the exemption the employee is not taxed on the accommodation for two years from the time they arrive in South Africa and start working. It appears Treasury will consider this. According to De Villiers there seems to be willingness to make some “consequential amendments” to the Act; changes related to employee tax (PAYE) that may allow for a foreign tax credit on a monthly basis. If employee tax is withheld in the foreign jurisdiction, while in South Africa there is talk of “enabling legislation” to allow for the offsetting of the foreign tax credit against the local PAYE – that dovetails with the practical administration that the South African Revenue Service (Sars) will have to do, says De Villiers. Jean du Toit and Jonty Leon, both tax attorneys at Tax Consulting SA, say it looks like payroll personnel, South African expats and Sars officials are “in for many growing pains and an overall torrid time” when the amendment kicks in. They said in a statement that one comfort is that Sars will set up a dedicated head office function to deal with matters pertaining to the amendment. 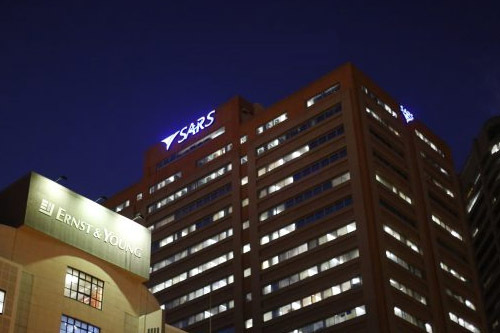 De Villiers added that there is a huge onus on tax practitioners who represent the tax-paying community to provide Sars with adequate information on the factual patterns they are aware of in foreign jurisdictions. The consequence is that if South African expats cannot offset their foreign tax credit against their South African tax liability they might end up paying tax on the same income twice.